Note to reader: This is our new blog. Please visit our old blog to read more intern experiences. 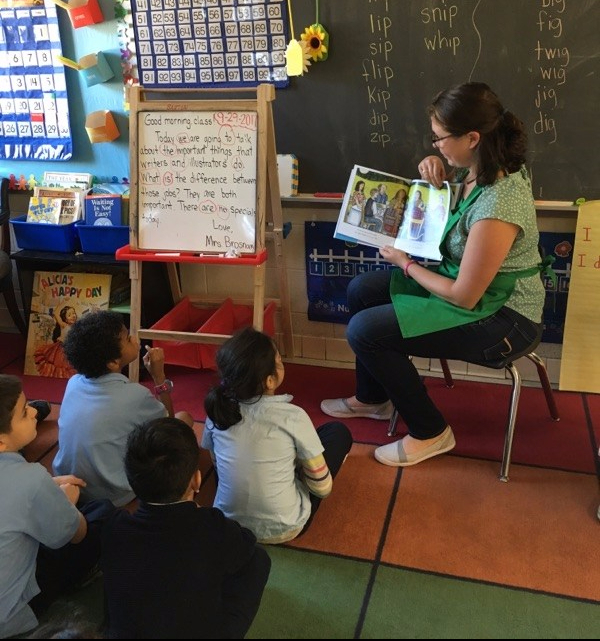 Before the pear tasting, my internship partner and I led the students in a lesson about where their food comes from. Teaching them the steps from the farm to the fork. The lesson we taught is part of a series called ‘Read for Health’. Each lesson incorporates a picture book so the children can more easily understand the message. 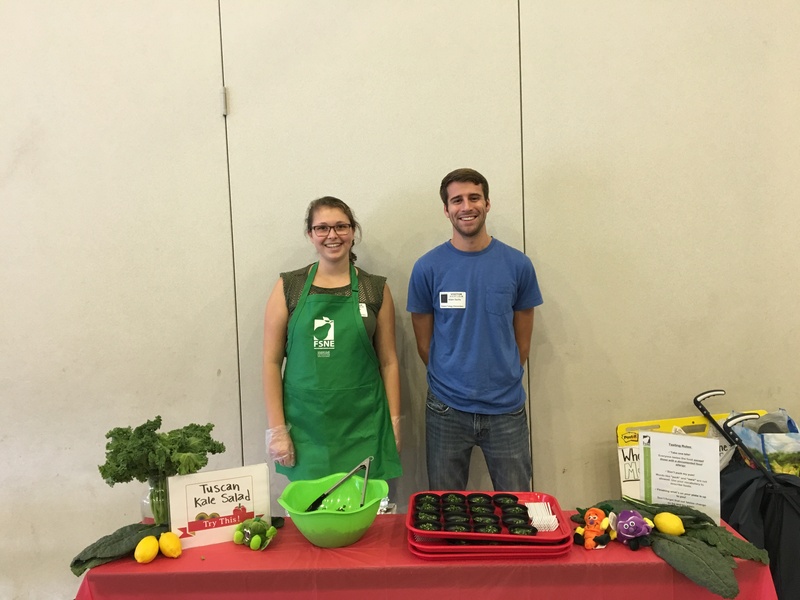 Our station in the cafeteria to introduce 900 elementary schoolers to kale.